Without checking my phone for grapevine messages I headed for Druridge for a bit of a walk after work, Janet came with me and we decided that we'd walk through the hides towards the Preceptory and back via the Haul Road. As we walked along to the hides, we could hear a number of whooper swans on the big pool. 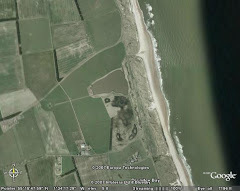 At the Little Hide we met a visiting a birder who'd been watching them... then we bumped into Andy Cowell - Andy is a prolific county year-lister so to see him heading towards us, at 6pm, at Druridge, set alarm bells ringing in my head! He must have come specifically to see something I thought - I quizzed him and my suspicions were right, he'd heard about and successfully seen a Bewick's swan with the whooper flock on the pool - but they'd flown off onto the fields beyond the haul road. (I checked my whatsapp to see that the Bewck's had been reported earlier that day...Note to self: check whatsapp before heading out). Walk abandoned as our proposed route would've flushed the birds from the fields and we couldn't risk that. 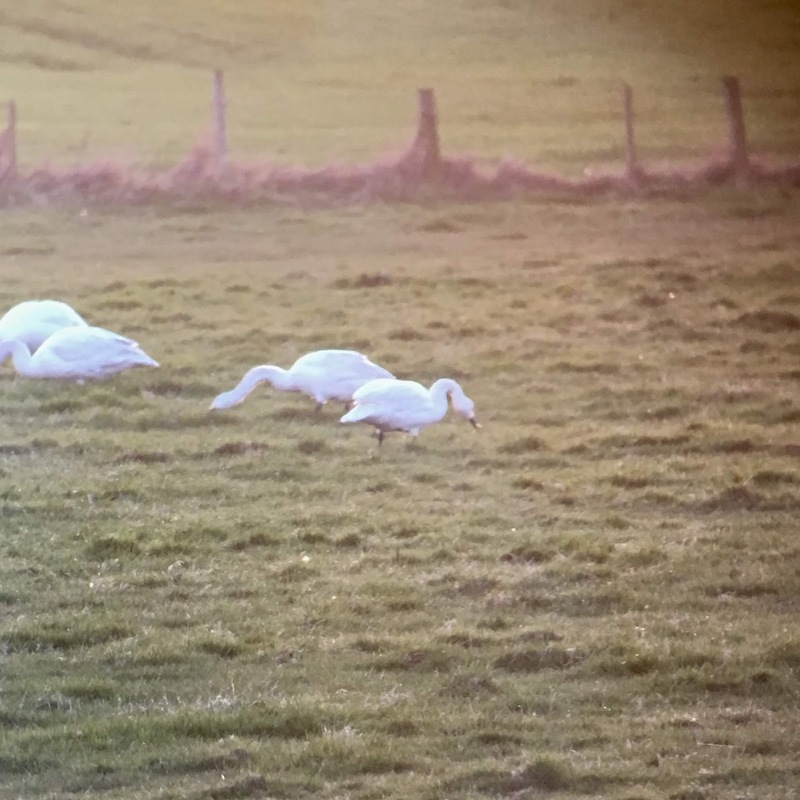 Instead we headed back to the road and north to the cycle path for a look at the swans, the light was crap but we soon picked up the slightly smaller Bewick's amongst the grazing whoopers. According to my database I've not seen a Bewick's on the patch since 23 October 2003 when two were with 28 Whoopers. There are some bits of notebooks missing from my database so there might have been a more recent record, but I can't recall one. Bewick's swans are a really scarce species in Northumberland nowadays. When I was younger there were regularly several with huge flocks of wintering whoopers behind my house at Warkworth Lane, which was once a nationally important site for whoopers - not any more. The Bewick's swan was with a flock of 66 Whoopers and there were 28 mute swans in the next field.